Can you name the last Australian ‘rock’ act that had major success in this country? I bet you’re having trouble – It’s certainly, been a while hasn’t it! This post isn’t directed to anybody in particular but to the people reading this, ask yourself….who was the last Australian ‘rock’ act (no not metal-core or any modern day metal!) that had success in Australia and/or overseas? Well, the last band I can remember that had major success was Silverchair – and that was the mid 90’s, let that sink in for a moment – that’s around 25 years ago, that’s a quarter of a century! Yes, some other Australian bands had limited success in the 90’s: Screaming Jets, Baby Animals, The Poor, Horsehead, Judge Mercy, even Candy Harlots but realistically while being hard rock acts – virtually all were considered ‘pub’ rock bands like most of the 70’s successful bands like AC/DC etc. Prior to the 90’s – a number of 80’s bands had some success in Australia, all to varying degrees names like: AC/DC, The Angels, Rose Tattoo, Choirboys, Buffalo, Skyhooks, Hush, Heaven, Boss, Bengal Tigers, Taipan, Axatak, even Tyrant – among many others had their moments and again, most that had success were considered ‘pub’ rock bands! 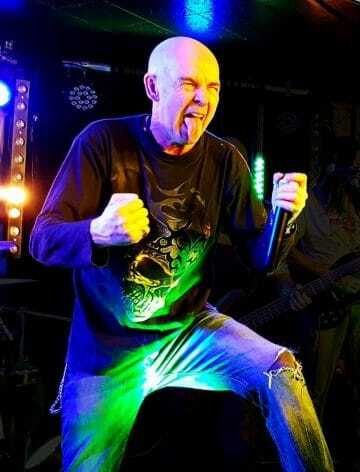 Personally, out of all the people I’ve met in my 3 decades of playing in bands, writing for magazines, doing radio shows, operating lights for bands – only one name springs to mind, that actually elevated a number of bands who went onto have success – Michael Browning! While I know numerous people in the industry, who book bands, promote bands, book rooms, are involved with touring acts – none have ascertained any serious ‘success’ for any Australian ‘rock’ act, that has gone onto being a BIG name, be it in Australia or Overseas? Possibly, the biggest Australian ‘rock’ act of current times is Airbourne – and they had to go Overseas to gain their success! Unlike the countless rock acts, currently playing to half empty rooms across Australia (none are given airplay on the radio networks Triple M and Triple J) – Airbourne while being well known to Europe and America – the band is virtually, ‘unknown’ to the majority of mainstream Australia, after being in existence for over a decade! Sadly, they are not alone, 100’s if not 1000’s of Aussie original ‘rock’ acts have no profile in their own country and from a hard rock/metal band perspective, there may be one official ‘metal’ magazine, but it certainly doesn’t expose any ‘rock’ acts unless they’re an Overseas act touring the country! Unfortunately, the majority of the many ‘web-zines’ aren’t helping the cause either, hardly ever posting about new unheard acts and constantly posting about known ‘legendary’ acts, that everybody knows about/have heard about and how many times do you see the same posts, over and over again! Industry people will state, times have changed, we don’t have the population, nobody listens to that style of music anymore – well, yes they do – one only has to look at the many festivals, around the world with stacks of hard rock acts appearing on the bill and then look at the major festival line ups in our country? There’s always countless excuses – the bottom line is – without support – be it from labels, management, booking agents and NO radio ‘airplay’ – the lack of success – for many bands is because the Australian industry just doesn’t have the people anymore, with those ‘connections’ to make an Aussie ‘rock’ band a MAJOR draw anymore! A number of Australian ‘rock’ acts, have migrated and based themselves overseas – Massive, Tequila Mockingbird and some acts like Dead City Ruins, Black Aces, among others – are venturing overseas – due to how bad the Australian music industry has become! Oz rockers ROADKILL are set to release their follow up to their critically acclaimed 2016 CD, ‘Extinct’, on November 2 via MelodicRock Records! The new album ‘Ruled By Machines’ and is again produced by Psycroptic guitarist, JOE HALEY and features 11 songs of old school hard rock, heavy metal music!